As a librarian with “engineering” in his job title, one of the questions I routinely get at medical library conferences is “shouldn’t you be at an engineering conference?” It’s a fair question, since historically there has been a firewall between the clinical research conducted within academic medical centers and the applied science research performed at land-grant research universities. However, with the increased emphasis on interdisciplinary research from funders like the National Institutes of Health (NIH) and the National Science Foundation (NSF), many research teams now utilize engineering approaches to investigate health-related problems, which is creating new opportunities for medical librarians at institutions that aren’t typically thought of as medical libraries. An institutional priority on facilitating interdisciplinary research is exactly what brought me to NC State University, where as a medical librarian I get to do far more than just be a resident expert on PubMed. One of the communities I support here is the Joint Department of Biomedical Engineering (BME), which trains future generations of biomedical engineers to design patient-centered hardware and software solutions in collaboration with clinicians. To supplement the observational field work these students do within local health-care settings, BME students also must learn how to find health information so that they can understand the needs of their patient populations and navigate the complexities of the healthcare economics landscape. 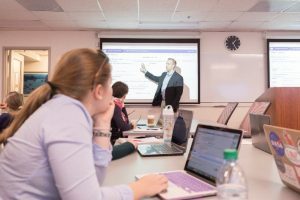 At NC State, I teach BME students how to interpret epidemiology data to assess the prevalence of specific diseases and medical conditions, and how to evaluate journal articles and patent literature to assess current treatment options. I also help BME students understand the complexity of bringing a solution to market by demonstrating how to locate relevant FDA regulatory information and discussing which Current Procedural Terminology (CPT) codes apply to their device for billing and reimbursement. 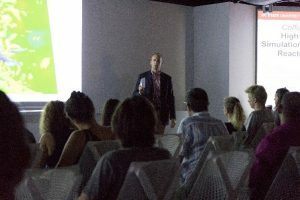 It is immensely rewarding to watch these students’ projects evolve from fuzzy ideas into fully developed prototypes, and occasionally into nationally and internationally renowned undergraduate projects. The mission of land-grant universities is to make the knowledge of the university available to the public, which creates opportunities for librarians with a wide variety of expertise to impact health literacy. 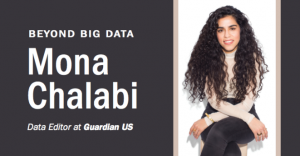 At NC State, we help our community members better understanding the complex information systems and news streams that surround them by hosting events that feature leading data journalists like Mona Chalabi and Alberto Cairo. We are embedded within interdisciplinary research institutes like the Comparative Medicine Institute, which facilitates ground-breaking translational research studies. We encourage our researchers to adopt open research practices for the processes and the products of their science, increasing the public’s access to current information on complex medical topics. We don’t just teach students and faculty how to run BLAST searches – we demonstrate how biomolecular databases like Gene can make their findings available to the public. So even if I am one of the only librarians at the NC State who self-identifies as a medical librarian, I am surrounded by colleagues who are advancing health literacy within North Carolina. But perhaps the best thing about working as a medical librarian at an academic research library is the variety of people I get to engage with – each day brings different audiences and different opportunities. On Monday, you’re helping agricultural engineers find schematics for a storm water runoff system that will protect local watersheds. On Tuesday, you’re judging research posters at a graduate student symposium. On Wednesday, you’re showing civil engineering students how to find the standards needed to build a bridge that complies with the newest Environmental Protection Agency regulations. On Thursday, you’re guiding textile engineers through the process of filing a 510(k) for a new medical device. And on Friday, you’re finally getting around to answering those emails from your colleagues in the library that have been piling up since Monday. Although, I suspect that last one isn’t so unique to those of us outside of traditional medical libraries.